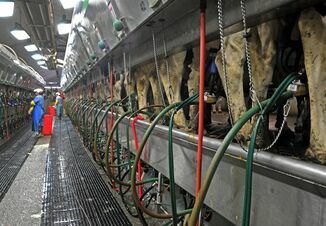 South Korea raised the country's foot-and-mouth disease alert status to the highest level as a second strain of the disease was confirmed three days after a first outbreak was reported, Seoul's agriculture ministry said on Thursday. 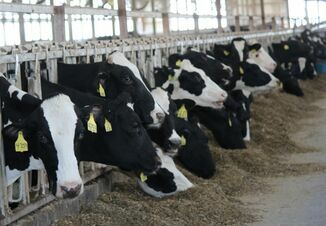 The A-type strain of the disease was discovered at a dairy farm in Yeoncheon, less than 50 miles north of the capital, said Kim Kyeong-kyu, deputy minister for food industry policy. Reacting shortly after an outbreak of the O-type strain was confirmed in southeast Korea, the ministry raised the alert status one notch to the maximum. "We are raising the alert level as foot-and-mouth cases occurred at different parts of the country and a second type of the disease emerged," Kim said at a briefing. As of Wednesday, 826 cattle had been culled, the ministry said. South Korea last raised the country's foot-and-mouth disease alert status to the highest level in 2010, when the country grappled with its worst-ever outbreak. Since the first outbreak was discovered on Monday, Korea has taken emergency measures including a nationwide vaccination and a movement control order designed to contain the spread of the virus. The ministry had re-vaccinated all cattle in the country against the O-type virus, and the country's livestock would need to be inoculated again against the A-type strain, Kim said. Oh Soon-min, a senior agriculture ministry official in charge of animal health, said the ministry was seeking to import more vaccine stocks from manufacturers such as Merial as Korea's inventory of "O+A type" vaccines - which allow livestock to be vaccinated for both strains at the same time - was in short supply. "We first have to check the company's inventory and we are thinking to bring in as many (supplies) as we can," he added. Korea regularly inoculates its cattle and hogs against three types of foot-and-mouth diseases. 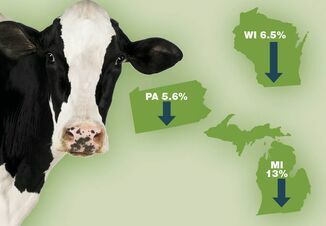 It has around 3.14 million cattle and 10 million hogs nationwide. The agriculture ministry is weighing whether or not to vaccinate hogs again, as cases of infection have so far only been found among cattle, said Park Bong-kyun, commissioner of the Animal and Plant Quarantine Agency. Korea has also slaughtered 33 million farm birds since late last year as it tries to contain an outbreak of viral bird flu.